"When the opportunity to join Chelsea presented itself I had to take it," Argentine says of move. Chelsea have signed Argentina striker Gonzalo Higuaín on loan from Juventus until the end of the season, as boss Maurizio Sarri looks to ignite his spluttering attack. Higuaín will be reunited with Sarri, who managed the 31-year-old at Napoli and made him his top target in the January transfer window. 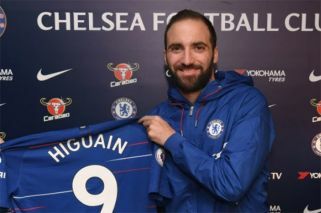 After spending the first half of the season in a disappointing loan spell at AC Milan, Higuaín admitted he was keen to move to Stamford Bridge. "When the opportunity to join Chelsea presented itself I had to take it," he told Chelsea's website. "It's a team I've always liked that has a lot of history, a wonderful stadium and they play in the Premier League, a league I've always wanted to play in. Higuaín had scored just once in his last 12 appearances for AC Milan. But the former Real Madrid star, who will wear Chelsea's number nine shirt, is expected to recreate the fruitful relationship he had with Sarri in their one season together at Napoli in 2015-16. He scored 36 league goals in 35 games for Napoli, breaking the Serie A single-season record. Hazard's form has suffered as a result and Sarri will hope Higuaín's presence will spark a revival in Chelsea's fortunes, while allowing Hazard to return to the role he has filled so effectively on the left wing. Higuaín, who has been capped 75 times by his country, arrives at Chelsea to find the club struggling with a confidence crisis that threatens to wreck their season. No wonder he was so delighted to get the Higuaín deal completed. "It's very difficult in January to find one of the most important strikers in the world. So I think the club is working very well because it's not easy to get a new striker," Sarri said. "We hope he'll bring goals, that he starts scoring for us. He's also very good at other aspects, other than just goals, but that's what we are hoping for. He has had some difficulties recently, but we're hoping we can raise him back to his best form." Chelsea play Tottenham Hostpur tonight in a League Cup semi-final second leg at Stamford Bridge, bidding to overturn a 1-0 deficit to reach the February 24 final. The Blues had until 1200 GMT yesterday to register Higuaín for that match, but instead he will have to wait for his debut, which could come against Sheffield Wednesday in the FA Cup fourth round on Sunday. If not, Higuaín could feature when Chelsea travel to Bournemouth in the Premier League on January 30. Juventus revealed the existence of two options attached to the deal, with Chelsea able to sign Higuaín outright during the loan spell for around £31.3 million. 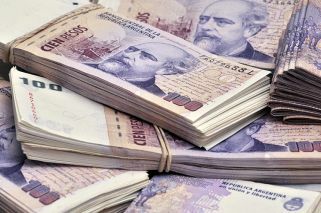 "The agreement grants to Chelsea the options to extend the duration of the loan until 30 June 2020, for a consideration of 18 million euros (£15.7 million) to be paid in 2019-20 financial year," a statement on Juventus's website read. "Or to acquire the registration rights of the player on a permanent basis for 36 million euros (£31.3 million) to be paid in two financial years." Chelsea manager Sarri is confident the Argentine to earn a permanent move to the Premier League. "For sure, he is one of the best strikers in my career," said Sarri. "It's up to him, I think. He has to score, first of all. I think that for a long-term contract, he has to do very well. He has to play. He has to score. He has to be useful for the team."